Back in late 2016, Sennheiser reached out to me and around fifteen other techs working in the house of worship and theater/concert markets to join a focus group. They wanted to find out about our production needs and demands, with a good part of the focus on microphones. They’d fly us to Los Angeles to meet and toss out questions and listen to what we offered up. Among those invited from the church market were also fellow BehindtheMixer.com writer, Brian Gowing, and two great techs who’ve been wonderfully helpful on our Behind the Mixer Facebook Group, Scott Vander Molen and Kelly Sovacool. This past January, we flew out for the Sennheiser meeting and had a fabulous time. Below are the major areas that stood out. No matter the size of the venue or the event itself, every audience demands top-notch audio production. 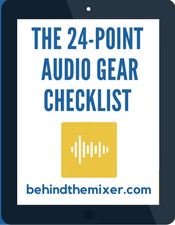 While some might be more forgiving of mistakes, it still came down to the fact that every audio tech has high demands on their work. And naturally, the more demands on us, the more we demand from our gear. As it relates to wireless microphones, we demand reliability, consistency, and high quality because those areas have a direct impact on our level of audio production. Even certain features makes one microphone more attractive than another. 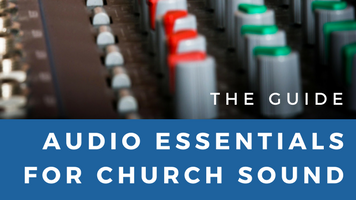 Several of us drove home the point of how important it is for an audio company to build relationships with the “House of Worship” market and the company is stepping up to the plate on that one. Brian’s church denomination has an annual conference and Sennheiser agreed to have a booth set up and be present to talk with pastors and tech folks. I’ve been around long enough to know when I’m being fed a company line. Yes, I know ninety-nine percent of company representatives believe their company creates the best speaker, DI box, effects unit, mixer, or whatever it is they’re selling. At the meeting, we didn’t get inundated with that. I’ve always seen Sennheiser as a great microphone company but I’ve never had warm fuzzy feelings about them. Nothing against them, it’s just I’ve seen other microphone companies put on more of a public face in the church audio market. And I used to hit a lot of the church audio conferences. Maybe it’s just me and maybe I like to know the people behind a company. And that’s why I took a bold step that Tuesday in January. The discussion ventured into marketing and I wanted to dig into why the employees in the room worked for the company. Mind you, this is a company based in Germany and several of the Deutsche were in the room. (Years ago, I learned people in Germany call themselves Deutsche but Americans call them Germans.) I know I was putting them on the spot, but I wanted to know their hearts and I felt like my global tech team – that means you – would want to know as well. Next, I walked over to Angelika Weiss, in charge of strategic development, and I asked her the same question. The response surprised me. “Family,” she said. She told me the founder, Fritz Sennheiser, would walk into work and treat everyone like family and how the whole company is like that. I later found out from her the pro audio company we know today would never have come to be if he’d have found employment with his first love, landscape gardening. In those few minutes, in my mind, the company went from a name to a face, and it was a face I liked. Was it a company focused on attention to detail, expert craftsmanship, and a passion for providing the best audio quality imaginable? Yes. But, it was more. It was seeing the people behind the logo. At the very end of the day, they did spend about ten minutes telling us about their two new products; the Digital 6000 and the XS Wireless 2 series. 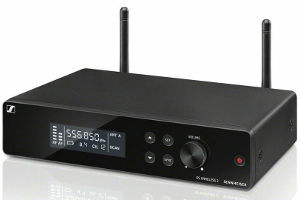 The Digital 6000 is a top-of-the-line, high end, wireless microphone that most of us can’t afford at $8k for two channels. Did it sound great? Of course! But what caught my attention was their new value-line offering. The XS Wireless (XSW) 2 series is right in that price point where small churches find themselves focusing. And before this meeting, I’ve usually recommended a wireless microphone package from another well-known company. One I’ve used before, installed in a few places, and find is reliable. But that recommendation changes today. The XSW1 is the older base model with XSW2 being a great step up. And they sound great! To be clear, I’ve given out a lot of product recommendations via this site, the Facebook group, in person, and via email. Does my new view of this company mean I’ll only recommend their products? No. 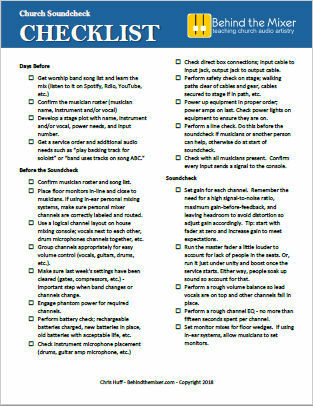 Every gear purchase needs to consider the requirements and the budget. 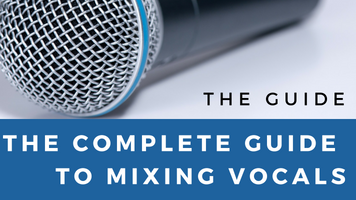 And when it comes to microphones, every make/model sounds different due to a variety of microphone properties and therefore a microphone that sounds great with one person might require a different microphone for someone else. What I can say is there are a few instances of microphones, such as the XSW 2 series, in which I am now favoring Sennheisers over what I used to recommend, because I believe they are a better product. 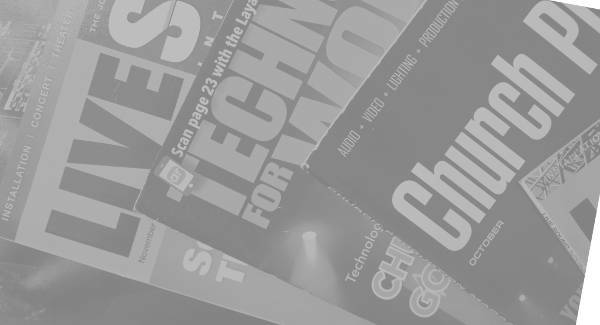 The church audio market is a busy place with millions of services occurring every weekend across the globe. Some companies, like Sennheiser, see us as a market worthy of special attention. When it comes to purchasing gear, you might come down to two similar products from different companies. How to you make the final call? This is where I believe knowing the people behind a company matters. And a quick thanks to Tim Moore, from Sennheiser, for that first contact that started all of this. Identify exactly what's holding you back and the next steps to take. It covers stuff most people overlook that makes a big difference in the end. It’s definitely a good system but be warned, like the name implies, it’s made for speech so don’t use it as a singer’s microphone. Just picked up 4 XSW 2 systems with the 865 capsules and we love them. They work well for our services without breaking our budget. We’ve had other systems at the same price point, but they’ve always had some audio artifacts that were unpleasant or lots of handling noise. I do not find the same issues with these units. Now we have to find replacements for our soon to be “illegal” G3 systems! We use lots of Sennheiser gear including 5 G3 IEM wireless systems and 8 of the 100 series G3 wireless microphones, multiple e900 series microphones and HD 25 headphones. I have always found their gear to be top notch in performance, durability and quality and have no qualms recommending it to others. I like the metal construction of the G3 wireless systems which most other companies don’t seem to offer around the same price. Although the lower cost XSW doesn’t offer the same metal construction on its transmitters, from all accounts I’ve seen – the RF and audio is still very good, which can’t be said for a lot of other entry level systems. I’m sure the XSW2 won’t disappoint those on a strict budget. The XSW2 does offer some of the upgrades like the metal transmitters, I believe. I recently tested a mic system by CAD and it sounded great but the plastic transmitter…ugh. It looks like the hand held transmitters are still plastic. And with non interchangeable heads. The bodypacks are meta, I believe. We use Sennheiser at church & one problem we constantly get is cross-interference when 2 mics are within a metre of eachother, the transmitters interfere & cause distortions. We’ve tried seperating the freqyencies, however it appears the mics circuitry have poor immunity of rf around them. Was this discussed? Is this fixed with the XSW2 ? That’s bizarre. I’d need to know the model of the mics. I have always avoided them for wireless systems because of some bad experiences I had in the past, so I’m glad to see that they are doing something new in this market. How would you compare this lower-priced system of theirs to something like the Audio Technica System 10 Pro? 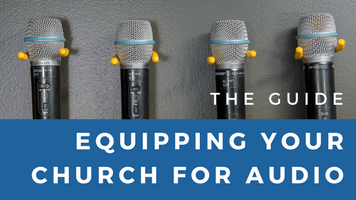 I have recently fallen in love with that system for use in public address and pastoral applications, and have been migrating my churches older system into it as we need to replace equipment. We couldn’t do side-by-side comparisons but I’d consider it comparable. Check out the tech details on each and see which has exactly what you need. Polar pattern, freq range, freq response, etc. We currently use the System 10 as well and I love their RF and audio performance. The problem we have is the two handhelds transmit a lot of handling noise for more inexperienced users. Great performance though. 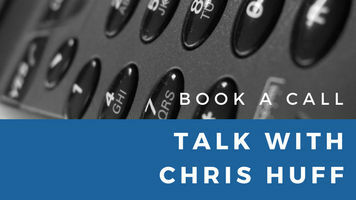 Chris, I’ve seen a number of budget/cheaper wireless microphones have lots of handling noise and are not isolated very well. How does the XSW series perform in that regard? From what I could tell from my limited experience with the XSW2 series, they were good.